Even if you don’t get down with her brand of extreme formalism, it’s hard to deny that Zaha Hadid is a living legend. Hadid is one of the only female architects to have ever won the Pritzker Prize (well, unless you count those who were mysteriously excluded by the Pritzker jury) and the force behind some of the more controversial buildings of the past decade—she’s as much an entrepreneur as she is a designer. In fact, it’s likely that her architecture, these days, serves as something of a loss leader for the business her brand does outside of the construction industry. For a glimpse of Hadid’s business sense, look no further than her booming business selling things other than architecture: $160,000 tables, Louis Vuitton bags, and avant-garde haircuts. 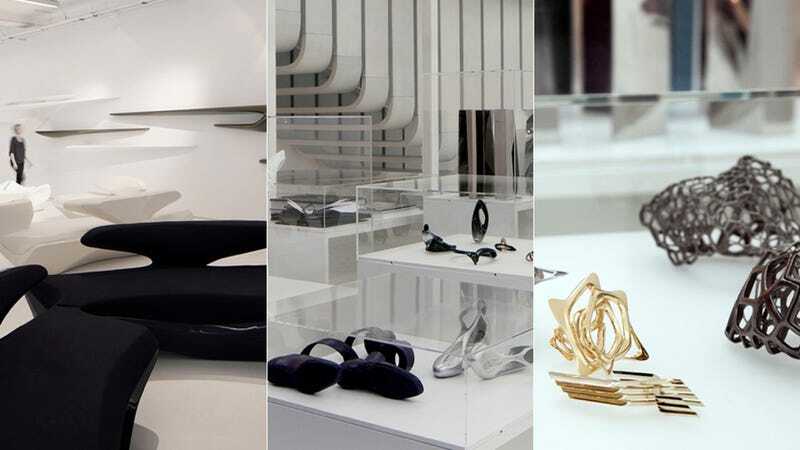 This week, in the tony London neighborhood of Clerkenwell, Hadid and her office opened a permanent gallery and showroom devoted to products, including a second floor where visitors can peruse architectural models. According to The Guardian, the space is a physical manifestation of the another bit of news from the Hadid universe: the registering of her brand's seventh company, Zaha Hadid Design.